Want To Advertise With uSWAP? Advertising with uSWAP is a way of getting your business known because uSWAP has a solid membership around the UK. So if you want to expand your business into other geographical areas, then advertising on uSWAP is a way of making your business known in places as far apart as the Scilly Isles to the Outer Hebrides. Our rates are very attractive compared to having a half-page advert in your local paper. And because we have a membership spread throughout the UK, you won’t have to take out adverts in lots of different newspapers. 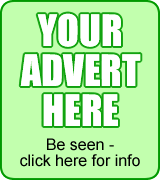 So why not advertise with us and get your business known throughout Great Britain?